What are you most excited to see? Let us know in the comments. 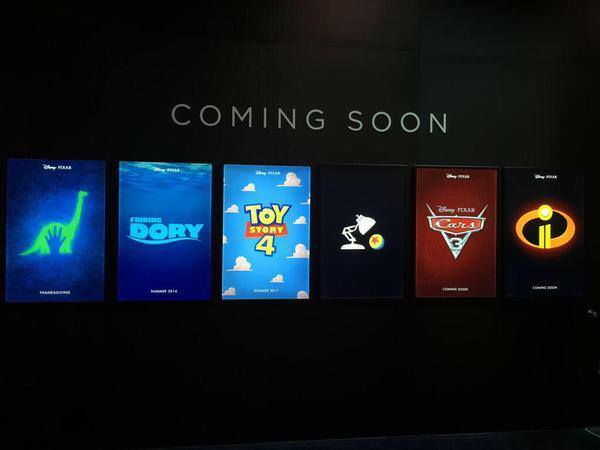 This entry was posted in Other Stuff, T. Mack and tagged Cars 3, Finding Dory, Luxo Jr., The Good Dinosaur, The Incredibles 2, Toy Story 4. Bookmark the permalink. Good Dinosaur looks decent but it’s Incredibles 2 I’m looking forward to the most. Waited too long for that movie!